PowerShares has one of industry's biggest lineups of specialized funds. These are three of the top PowerShares ETFs right now. When analysts talk about the major exchange-traded fund (ETF) issuers, they typically focus on the “Big Three” of Vanguard, iShares and State Street Global Advisors (the SPDRs). But Invesco Ltd. (NYSE:IVZ) and its PowerShares ETFs are a force in their own right, as the only other U.S. ETF provider with more than $100 billion in assets under management. As of the start of August 2017, PowerShares was fourth among U.S. ETF issuers with more than $128 billion in AUM. 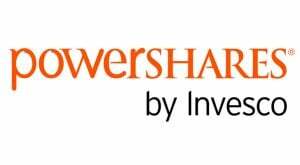 Advisers and investors alike are usually familiar with PowerShares because of the PowerShares QQQ (NASDAQ:QQQ), the Nasdaq-100 tracking ETF that many investors use for their Nasdaq exposure. However, PowerShares is one of the biggest purveyors of smart beta funds … and could be looking to get even bigger in that field, according to various media reports claiming Invesco is looking to acquire Guggenheim’s ETF business. Even if that acquisition does not materialize, PowerShares has one of the largest lineups in the ETF business. That means selecting the best PowerShares ETFs can be a tall task, but one that’s worth digging into. Here are three of the best PowerShares ETFs, for investors of varying risk tolerance. In terms of pure performance, the PowerShares Nasdaq Internet Portfolio (NASDAQ:PNQI) has been one of the best PowerShares ETFs for a long time. In fact, PNQI is one of the best-performing ETFs of any variety since March 2009 — the start of the current bull market in U.S. equities. Year-to-date, PNQI is continuing its winning ways with roughly 30% gains so far in 2017. That represents a massive advantage of more than 8 percentage points over its larger rival, the First Trust Dow Jones Internet Index Fund (NYSEARCA:FDN). That speaks to an important trait regarding this PowerShares ETF: its roster is not confined to U.S. Internet stocks. 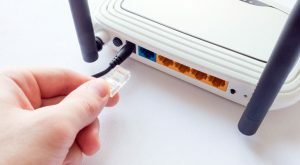 Several high-flying Chinese Internet stocks — including Baidu Inc. (NASDAQ:BIDU) and JD.Com Inc(ADR) (NASDAQ:JD) — call this PowerShares ETF home, helping deliver additional upside along the likes of hot American tech stocks like Facebook Inc (NASDAQ:FB) and Amazon.com, Inc. (NASDAQ:AMZN). PowerShares also boasts an extensive lineup of preferred-stock ETFs, including the PowerShares Preferred Portfolio (NYSEARCA:PGX) and the PowerShares Financial Preferred Portfolio (NYSEARCA:PGF). What makes the PowerShares Variable Rate Preferred Portfolio (NYSEARCA:VRP) stand out among other funds is that it helps income investors stay ahead with preferreds even in the face of rising interest rates. 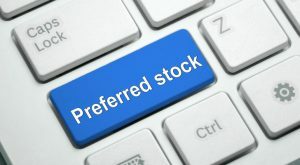 Although they are called “preferred stocks,” preferreds have bond-like qualities that make the asset class potentially vulnerable to higher and escalating interest rates. VRP is designed to reduce investors’ exposure to the impact of higher rates on preferred stocks; but you do have to pay for that protection, as the VRP’s 30-day SEC yield of 4.5% is lower than the PGX’s current yield closer to 5.6%. Still, data suggests that investors are warming up to VRP. Over the past year, investors have allocated nearly $960 million in new money to the fund — a total exceeded by just three other PowerShares ETFs over that period. Speaking of income, don’t forget the PowerShares S&P 500 High Dividend Low Volatility Portfolio (NYSEARCA:SPHD). This ETF debuted nearly five years ago, putting it at the forefront of a popular concept: the combination of the low-volatility factor and high-yielding dividend stocks. This PowerShares ETF tracks the S&P 500 Low Volatility High Dividend Index, which holds the 50 S&P 500 members that sport historically favorable low volatility traits and high dividend yields. Due to its high-yield objective, SPHD allocates a combined 54.5% of its weight to real estate, utilities and consumer staples stocks. 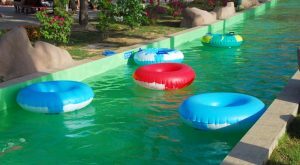 Investors are compensated for the interest-rate risk associated with those sectors with a 12-month distribution rate of 3.7%, and the fund’s beta is a mere 0.6 (anything less than 1 is considered less volatile than the broader market). Adding to the case for this PowerShares ETF is that it delivers its dividend on a monthly basis. As of this writing, Todd Shriber was long SPHD. Article printed from InvestorPlace Media, https://investorplace.com/2017/08/3-best-powershares-etfs-to-buy-now/.